Whether you run a self-hosted WordPress website for business or personal purposes, you're going to want to have the latest and greatest plugins out there to ensure that your site is performing optimally and giving visitors what exactly they're looking for. A CMS plugin is a piece of software designed to enhance or add to the functionality of your WordPress website. 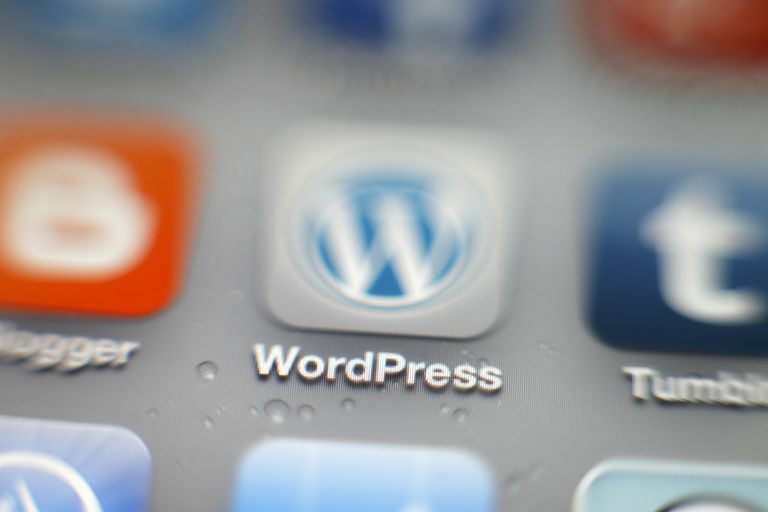 Both free and premium plugins are available, which you can download from WordPress.org or from developers' websites as .ZIP files and upload to your site. Once successfully installed, your plugin is ready to use. Now is the time to do a little maintenance on your WordPress website and give it a good upgrade by downloading and installing some of the following plugins for 2019. The plugin is intuitive to use—even for WordPress beginners. It's also great to have so many helpful functions rolled into one great plugin so you don't have to search for and download a dedicated plugin for each specific function. Depending on the functions you've enabled along with other site factors (such as additional plugins you're using, your hosting plan and your theme), you could see load times increase from using Jetpack. Jetpack is a powerful all-in-one plugin that equips your website with functions that cater to traffic generation, SEO, security, site backups, content creation and community building/engagement. See your site stats at a glance, automatically share new posts to social media, protect your site from brute force attacks and more. Price: Free with options to upgrade to a Personal, Professional or Premium membership. We love the snippet preview that shows you exactly what your Google search result will look like along with the detailed analysis that's generated with clear suggestions to make your SEO even better. Support is not offered unless you upgrade to the premium version. If you really want to get serious about search engine optimization so that you start ranking at the top for all your targeted search terms on Google, Yoast is the SEO plugin you'll want to have installed on your site. WIth Yoast, you'll know if your title is too long, whether you forgot to put keywords in your image alt tags, whether your meta description needs work and other details that are relevant for improving your site's search rankings. Price: Free with the option to upgrade to Premium (one Premium license per site). Sign-up forms have customizable options that allow the form to blend nicely into any theme and there are different styles of sign-up forms to choose from too. We also love that it can be seamlessly integrated with the WordPress comment form and other popular form plugins like Contact Form 7. It gets the job done, but it may not be the best choice if you want greater control and customization over your sign-up forms' look and functionality. MailChimp is one of the most popular email list management providers out there for collecting email subscribers and managing email campaigns, If you run a business site, building an email list is critical for retaining and engaging customers. While there are several good email list management providers out there, MailChimp's WordPress plugin is a must-have for its user-friendly email forms that can be added to your site quickly and seamlessly. Forms connect directly to your MailChimp account so anyone who enter their email information is added directly to your list in your account. Price: Free with the option to upgrade to Premium for a few extra tools. The automatic "smushing" option is a life saver on its own, but it's even more awesome to know that you can select existing images in your library to be smushed in bulk (up to 50 images at a time). Images that are over 1MB will be skipped. To smush images up to 32MB in size, you have to upgrade to WP Smush Pro. The size of your images can drastically impact how long it takes your site to load, and that's exactly why you need WP Smush. This plugin automatically resizes, compresses and optimizes your images as you upload them to your site so you never have to worry about doing it manually beforehand. Price: Free with a 30-day trial of WP Smush Pro. It's nice to know that every comment has its own status history that show which ones were automatically sent to spam, which ones were automatically cleared and which ones were spammed or unspammed by a moderator. You have to go through the process of signing up to get an API key to get the plugin to work. It's not difficult or that big of a deal to go get an API key—it's just one extra step that we'd rather not have to go through. Anyone who has ever set up their own WordPress site knows that it doesn't take long for the spambots to find it and start submitting automated spam comments. Akismet solves this problem by automatically filtering out spam so you don't have to deal with it. Price: Free with options to upgrade to Plus and Enterprise plans. Web security can be confusing and intimidating for a lot of newbies, so we think it's super helpful that the Wordfence team offers support and great customer service to both free and premium users of the plugin. Again, because web security can be so confusing and intimidating for newbies, it can be easy to miss configuring a setting within the plugin and then suffer an attack as a result. Users should take the extra time to check out Wordfence's Learning Center to gain at least a basic understanding of WordPress security. Every WordPress site owner should take their security seriously given how easy it is for attackers to hack or infect unsecured sites, which is why an advanced plugin like Wordfence Security is so necessary. This plugin offers a variety of robust security features including a firewall, brute force protection, malware scanning, security alerts, your own threat defense feed, login security options and more. Price: Free with an option to upgrade to Premium. The plugin lives up to its name, proving to speed up website load times better than other popular caching plugins like W3 Total Cache and WP Super Cache. Despite claiming to be the simplest cache plugin, WordPress users with no understanding of how caching works won't necessarily how to best configure all the settings. We wish there was a section on the WP Fastest Cache website similar to Wordfence Security's Learning Center that had resources for users who are totally clueless about caching. The quality of your WordPress theme and the size of your images are two major components of your site that you can control to make a difference in how fast it loads, but another quick and virtually effortless thing you can do is install a caching plugin like WP Fastest Cache to help with site speed. Priding itself on being the simplest and fastest WordPress cache system, this plugin deletes all cache files when a post or page is published and gives you the option to block specific posts or pages from being cached. Price: Free with the option to upgrade to Premium.